Clifford popped the question to long-term partner Crystal Leigh. 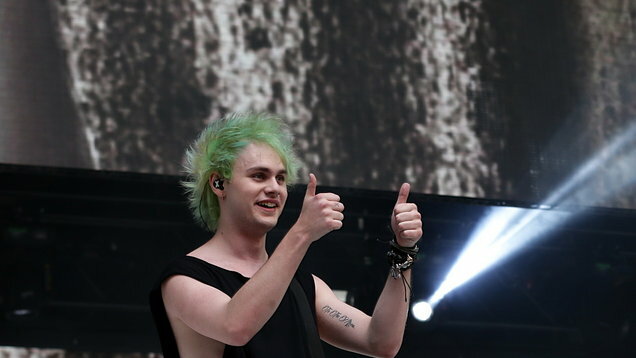 5 Seconds Of Summer star Michael Clifford is engaged after proposing to his girlfriend. The Australian pop star tweeted three pictures of him and fiancee Crystal Leigh, including the moment he got down on one knee while on holiday in Bali, Indonesia. In the other two images the couple, who have been together for three years, are seen embracing while showing off her diamond ring. According to US Weekly, Clifford and Leigh were on holiday at a resort in Bali, where they shared their first kiss. The 1975’s Medicine played in the background when Clifford proposed on Friday January 11, the publication said. Clifford is the lead guitarist for 5 Seconds Of Summer, whose hits include She Looks So Perfect, Youngblood, and Want You Back. In 2015 he burned his face following an incident involving pyrotechnics during a 5 Seconds Of Summer concert at London’s Wembley Stadium.